const char FLOATER_TITLE  = "Profile"
LLFloaterAvatarInfo class implementation Avatar information as shown in a floating window from right-click Profile. Used for editing your own avatar info. Just a wrapper for LLPanelAvatar, shared with the Find directory. const char FLOATER_TITLE = "Profile"
Definition at line 70 of file llfloateravatarinfo.cpp. Referenced by LLFloaterGroupInfo::callbackLoadGroupName(), LLFloaterGroupInvite::showForGroup(), and LLFloaterGroupInfo::showFromUUID(). Definition at line 100 of file llfloateravatarinfo.cpp. 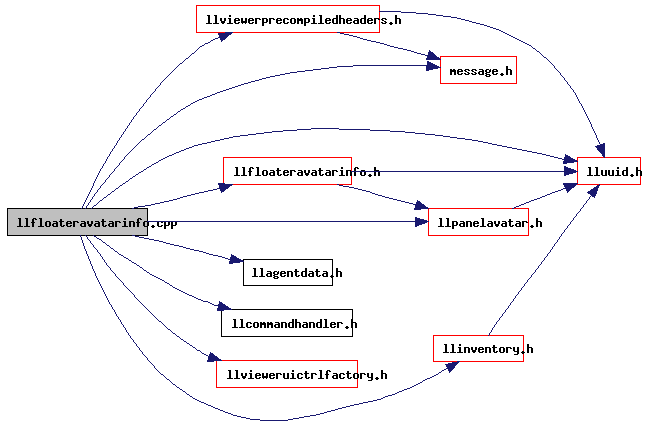 Definition at line 77 of file llfloateravatarinfo.cpp. Referenced by LLFloaterAvatarInfo::getInstance(), LLFloaterAvatarInfo::LLFloaterAvatarInfo(), LLFloaterAvatarInfo::show(), and LLFloaterAvatarInfo::~LLFloaterAvatarInfo().